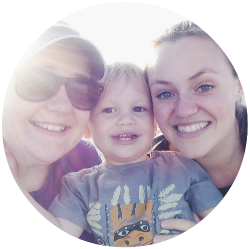 Our house can get pretty busy and pretty messy with a bouncing 5, soon to be 6 year old boy and a hyperactive cockapoo puppy, both of whom lack the fundamental ability to stay in one place for more than 5 seconds at a time, especially in the half term holidays! 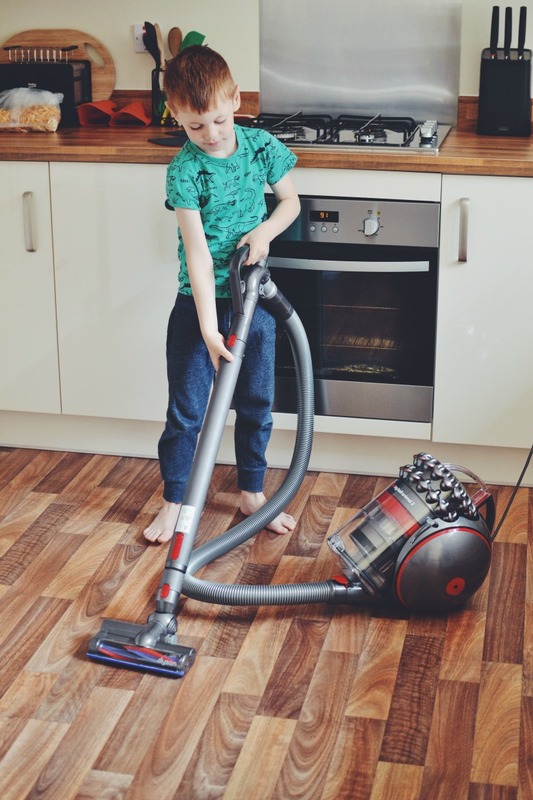 So what better way to fill the little man’s time, than to put him to work on the chores around the house, starting with the vacuuming. It’s also perfectly timed with our latest review of the Dyson Cinetic Big Ball Animal 2 corded vacuum cleaner. 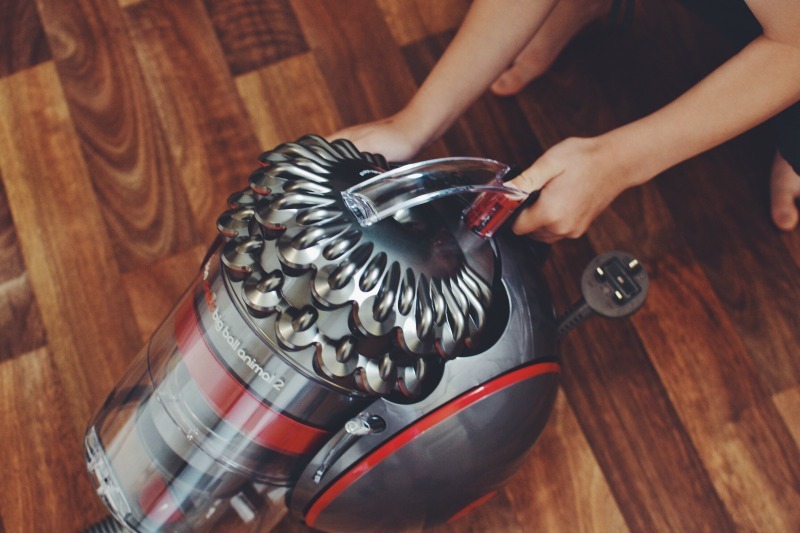 Firstly I just wanted to say how impressed I was with the Dyson Cinetic Big Ball Animal 2 vacuum, we’ve been test driving it around the house for a few weeks now and the quality of the clean is second to none, so much so that I honestly believe the air is cleaner and the house has this amazing freshness to it. We have been living in our new build home for just over 18 months now, so there really isn’t too much dust or dirt around to begin with but it really has refreshed the new carpets immensely. Here are some of the features which I find make this vacuum so good, starting with the interconnecting heads. Gone are the days of juggling the different heads to try and reach those stubborn places, such as the gap between the wall and the staircase or in the corners of the room. 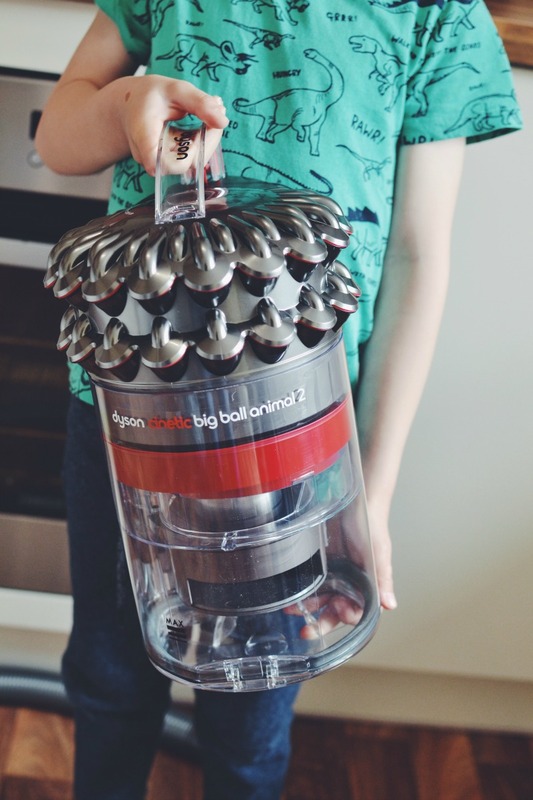 The Big Ball Animal 2 allows you to attach each vacuum head into one another giving you more length to reach up high and also reduce stress trying to juggle all the different heads around the home and with the easy release function, it just gets easier and easier, I think it’s a genius idea. Now, for anyone who has a pet in the home, like us or even anyone who suffers from the madness that is long hair, which thankfully I no longer have to worry about, you will know just how frustrating it can be when you have to sit and try to either untangle or cut fur or hair out of the head, its time consuming and unhygienic. 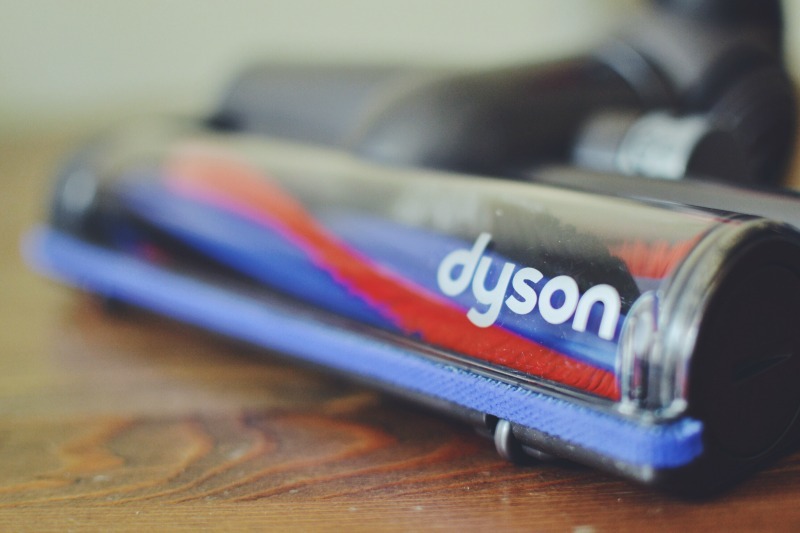 However, Dyson have thought about this in great detail and have developed a new tangle-free turbine tool which works with cogs, as opposed to a brush bar, therefore eliminating the cause of broken vacuum heads due to too much hair. 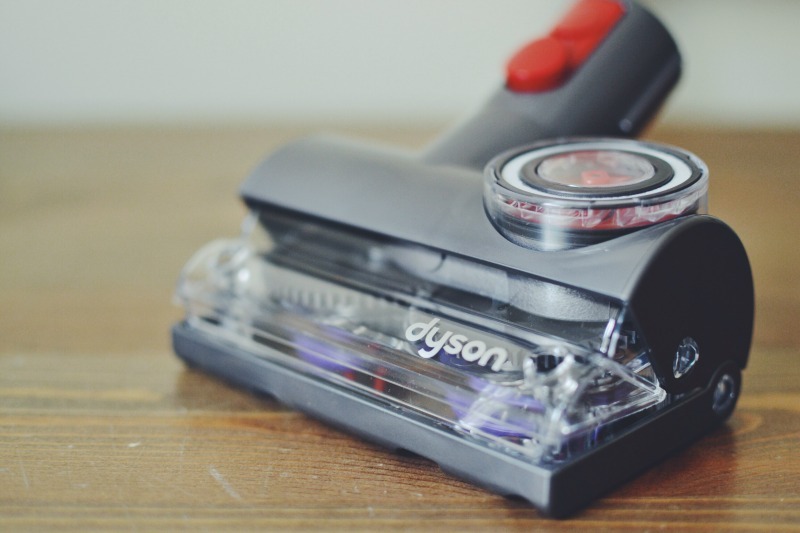 I also love the self-adjusting suction, it just makes vacuuming the house so easy and there is no fiddling with buttons when moving onto the carpet or onto hard floors. 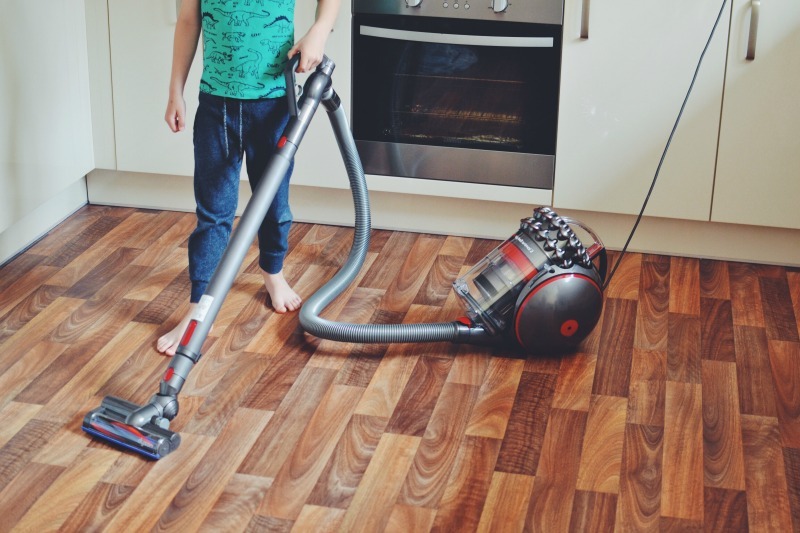 It also means that I can leave M to it and he won’t have to constantly ask me to change it for him , only kidding, but I think this is a great feature and for such a simple idea, it really helps speed up this chore. 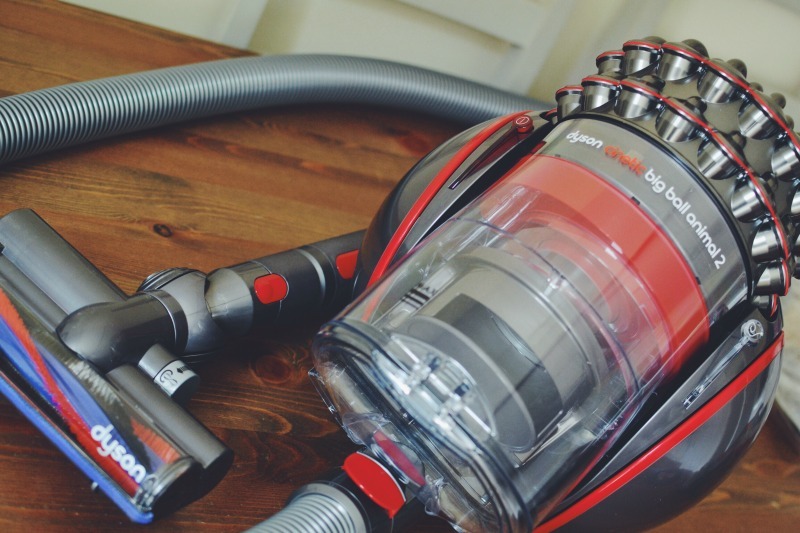 This vacuum is also bag-less which I like, it’s so much easier and more hygienic to empty the contents of the cylinder straight into the bin and no messing about or getting stuck unable to vacuum when you run out of bags and it’s really easy to remove the cylinder from the unit. The Big Ball feature also makes the Dyson Cinetic Big Ball Animal 2 really easy to manoeuvre around the home and you don’t find yourself getting stuck around door frames all the time. The only negative I would say about this is it makes the vacuum a little heavier, especially when on the stairs. But this could be a great way to keep fit. Now I’ve saved my favourite feature till last, because I think it’s an absolutely fantastic idea. We discovered it when we set M to work on the living room and we heard an excited shout after about 2 or 3 minutes, it turns out the Dyson Big Ball Animal 2 has an anti-tip function and actually picks itself up. 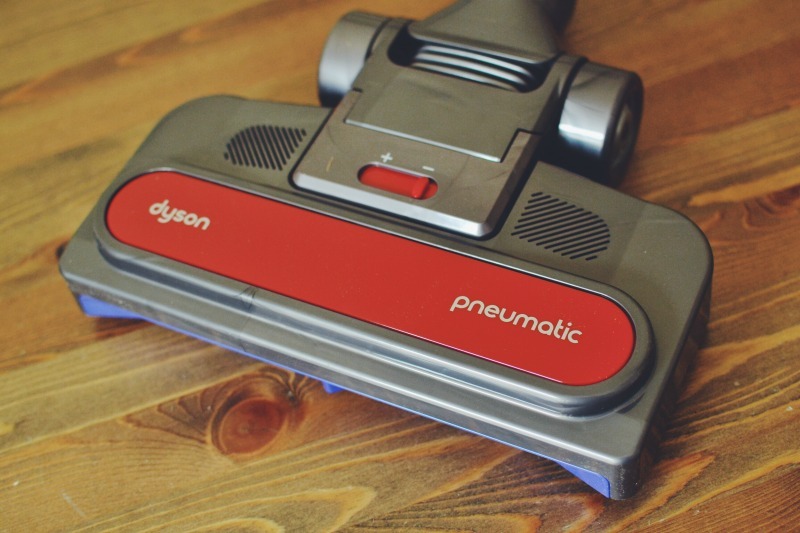 We’ve all been in the annoying situation when you pull the cylinder too hard and it tips over and you have to walk over and pick it up, well this vacuum just wobbles itself back upright when it falls. Again, so so simple but makes a massive difference! 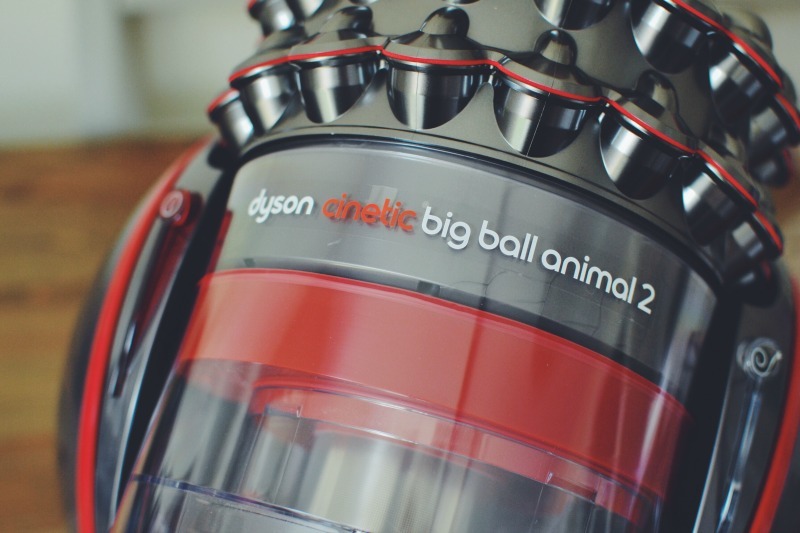 The Dyson Cinetic Big Ball Animal 2 retails at £399, which for a Dyson product which is robust and makes life cleaning the home so easy, I think it’s worth every penny.